Faculty of Industrial and Systems Engineering, Tarbiat Modares University, Tehran, Iran. Reliability is a fundamental factor in the operation of bus transportation systems for the reason that it signifies a straight indicator of the quality of service and operator’s costs. Todays, the application of GPS technology in bus systems provides big data availability, though it brings the difficulties of data preprocessing in a methodical approach. In this study, the principal component analysis is utilized to systematically assess the reliability indicators based on automatic vehicle location (AVL) data. In addition, the significant reliability indicators affecting the bus reliability are identified using a statistical analysis framework. The proposed bus reliability assessment framework can be applied to each bus route or a complete network. The proposed methodology has been validated using computational experiments on real-world AVL datasets extracted from the bus system in Qazvin, Iran. The analysis indicates that 1) on-time performance, 2) headway regularity, 3) standard deviation of the travel time of the buses, and 4) 50th percentile travel time are key indicators the reliability of bus services. The potential of the proposed methodology is discussed to provide insights for bus operators. Using the proposed approach in the article, the desirable reliability status of bus lines is identifiable from the point of view of key stakeholders, and the ways to improve reliability can be more clearly defined. Srinidhi, S., and A.K. Manrai, (2013). "A conceptual model for demand forecasting and service positioning in the airline industry", Journal of Modelling in Management, Vol. 8, No. 1, pp. 123-139. López-Ramos, F., (2014). "Integrating network design and frequency setting in public transportation networks: a survey", SORT-Statistics and Operations Research Transactions, Vol. 38, No. 2., pp. 181-214. Hu, K.-C., and P.T.-W. Lee, (2017). "Novel 3D model for prioritising the attributes of port service quality: cases involving major container ports in Asia", International Journal of Shipping and Transport Logistics, Vol. 9, No. 6, pp. 673-695. Gajewska, T., and E. Grigoroudis, (2017). "Estimating the performance of the logistics services attributes influencing customer satisfaction in the field of refrigerated transport", International Journal of Shipping and Transport Logistics, Vol. 9, No. 5, pp. 540-561. Monzon, A., S. Hernandez, and R. Cascajo, (2013). "Quality of bus services performance: benefits of real time passenger information systems", Transport and Telecommunication, Vol. 14, No. 2, p. 155-166. Mátrai, T., J. Tóth, and M.T. Horváth, (2016). "Route Planning Based on Urban Mobility Management", Hungarian Journal of Industry and Chemistry, Vol. 44, No. 2, pp. 71-79. Bashir, M., M.T. Afzal, and M. Azeem, (2008). "Reliability and validity of qualitative and operational research paradigm", Pakistan journal of statistics and operation research, Vol. 4, No. 1. Zanjani, Y., Z. Rafie Majd, and A. Mirzazadeh, (2015). 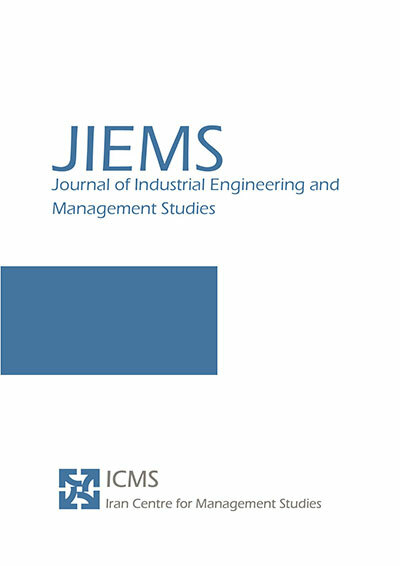 "Calculation of the fuzzy reliability in Neishabour train disaster; a case study", Journal of Industrial Engineering and Management Studies, Vol. 2, No. 1, pp. 1-15. Sorensen, P., and R. Church, (2010). "Integrating expected coverage and local reliability for emergency medical services location problems", Socio-Economic Planning Sciences, Vol. 44, No. 1, pp. 8-18. Abkowitz, M., and J. Tozzi, (1987). "Research contributions to managing transit service reliability", Journal of advanced transportation, Vol. 21, No. 1, pp. 47-65. Hassannayebi, E., (2017). "Train timetabling at rapid rail transit lines: a robust multi-objective stochastic programming approach", Operational Research, Vol. 17, No. 2, pp. 435-477. Fattouche, G., (2007). "Improving high-frequency bus service reliability through better scheduling, Massachusetts Institute of Technology. Strathman, J., (1999). "Automated bus dispatching, operations control, and service reliability: Baseline analysis", Transportation Research Record: Journal of the Transportation Research Board, pp. 28-36. Sandim, M., (2016). "Using GPS-based AVL data to calculate and predict traffic network performance metrics: A systematic review", in Intelligent Transportation Systems (ITSC), 2016 IEEE 19th International Conference on. 2016. IEEE. Cham, L.C., (2006). "Understanding bus service reliability: a practical framework using AVL/APC data", Massachusetts Institute of Technology. Maeso-González, E., and P. Pérez-Cerón, (2014). "State of art of bus rapid transit transportation", European Transport Research Review, Vol. 6, No. 2, pp. 149-156. Ma, Z., L. Ferreira, and M. Mesbah, (2014). "Measuring service reliability using automatic vehicle location data", Mathematical Problems in Engineering. Odeck, J., (2006). "Congestion, ownership, region of operation, and scale: Their impact on bus operator performance in Norway", Socio-Economic Planning Sciences, Vol. 40, No. 1, pp. 52-69. Rahman, M.M., S. Wirasinghe, and L. Kattan, (2016). "The effect of time interval of bus location data on real-time bus arrival estimations", Transportmetrica A: Transport Science, Vol. 12, No. 8, pp. 700-720. Byon, Y.-J., (2017). "Bunching and Headway Adherence Approach to Public Transport with GPS", International Journal of Civil Engineering. Tahmasseby, S., (2009). "Reliability in urban public transport network assessment and design". Wardman, M., and G. Whelan, (2011). "Twenty years of rail crowding valuation studies: evidence and lessons from British experience", Transport Reviews, Vol. 31, No. 3, pp. 379-398. Hassannayebi, E., A. Sajedinejad, and S. Mardani, (2016), "Disruption management in urban rail transit system: a simulation based optimization approach", Handbook of Research on Emerging Innovations in Rail Transportation Engineering, pp. 420-450. Chen, X., (2009). "Analyzing urban bus service reliability at the stop, route, and network levels", Transportation research part A: policy and practice, Vol. 43, No. 8, pp. 722-734. Camus, R., G. Longo, and C. Macorini, (2005). "Estimation of transit reliability level-of-service based on automatic vehicle location data", Transportation Research Record: Journal of the Transportation Research Board, pp. 277-286. Hassannayebi, E., (2017). "Timetable optimization models and methods for minimizing passenger waiting time at public transit terminals", Transportation Planning and Technology, Vol. 40, No. 3, pp. 278-304. Xue, R., D.J. Sun, and S. Chen, (2015). "Short-term bus passenger demand prediction based on time series model and interactive multiple model approach", Discrete Dynamics in Nature and Society. Hensher, D.A., and T.F. Golob, (2008). "Bus rapid transit systems: a comparative assessment", Transportation, Vol. 35, No. 4, pp. 501-518. Fielding, G.J., T.T. Babitsky, and M.E. Brenner, (1985). "Performance evaluation for bus transit", Transportation Research Part A: General, Vol. 19, No. 1, pp. 73-82. Karlaftis, M.G., and P.S. McCarthy, (1997). "Subsidy and public transit performance: A factor analytic approach", Transportation, Vol. 24, No. 3, pp. 253-270. De Borger, B., K. Kerstens, and A. Costa, (2002). "Public transit performance: what does one learn from frontier studies? ", Transport reviews, Vol. 22, No. 1, pp. 1-38. Karlaftis, M.G., (2004). "A DEA approach for evaluating the efficiency and effectiveness of urban transit systems", European Journal of Operational Research, Vol. 152, No. 2, pp. 354-364. Sheth, C., K. Triantis, and D. Teodorovic, (2007). "Performance evaluation of bus routes: A provider and passenger perspective", Transportation Research Part E: Logistics and Transportation Review, Vol. 43, No. 4, pp. 453-478. Eboli, L., and G. Mazzulla, (2011). "A methodology for evaluating transit service quality based on subjective and objective measures from the passenger’s point of view", Transport Policy, Vol. 18, No. 1, pp. 172-181. Deng, T., and J.D. Nelson, (2013). "Bus rapid transit implementation in Beijing: An evaluation of performance and impacts", Research in Transportation Economics, Vol. 39, No. 1, pp. 108-113. Moreira-Matias, L., (2015). "Improving mass transit operations by using AVL-based systems: A survey", IEEE Transactions on Intelligent Transportation Systems, Vol. 16, No. 4, pp. 1636-1653. Gittens, A., and A. Shalaby, (2015). "Evaluation of bus reliability measures and development of a new composite indicator", Transportation Research Record: Journal of the Transportation Research Board, pp. 91-99. Sun, D., (2016). "A bus route evaluation model based on GIS and super-efficient data envelopment analysis", Transportation Planning and Technology, Vol. 39, No. 4, pp. 407-423. Hu, W.X., and A. Shalaby, (2017). "Use of Automated Vehicle Location Data for Route-and Segment-Level Analyses of Bus Route Reliability and Speed", Transportation Research Record: Journal of the Transportation Research Board, pp. 9-19. Khalid, M.B., (2017). "Spatio-temporal Network-Constrained Trajectory Data Model and Service Reliability Assessment", IETE Journal of Research, pp. 1-6. Gkiotsalitis, K., and O. Cats, (2018). "Reliable frequency determination: Incorporating information on service uncertainty when setting dispatching headways", Transportation Research Part C: Emerging Technologies, Vol. 88, pp. 187-207. El‐Geneidy, A.M., J. Horning, and K.J. Krizek, (2011). "Analyzing transit service reliability using detailed data from automatic vehicular locator systems", Journal of Advanced Transportation, Vol.45, No. 1, pp. 66-79. Ma, Z., L. Ferreira, and M. Mesbah, (2013). "A framework for the development of bus service reliability measures", in Proceedings of the 36th Australasian Transport Research Forum (ATRF), Brisbane, Australia. Soltani, A., E.Z. Marandi, and Y.E. Ivaki, (2013). "Bus route evaluation using a two-stage hybrid model of Fuzzy AHP and TOPSIS", Journal of Transport Literature, Vol. 7, No. 3, pp. 34-58. Yan, Y., Z. Liu, and Y. Bie, (2016). "Performance evaluation of bus routes using automatic vehicle location data", Journal of Transportation Engineering, Vol. 142, No. 8. Hahn, J.-S., (2017). "Sustainability evaluation of rapid routes for buses with a network DEA model", International Journal of Sustainable Transportation, Vol. 11, No. 9, pp. 659-669. Barabino, B., M. Di Francesco, and S. Mozzoni, (2017), "Time Reliability Measures in bus Transport Services from the Accurate use of Automatic Vehicle Location raw Data", Quality and Reliability Engineering International, Vol. 33, No. 5, pp. 969-978. Ma, Z., (2017). "Quantile Regression Analysis of Transit Travel Time Reliability with Automatic Vehicle Location and Farecard Data", Transportation Research Record: Journal of the Transportation Research Board, Vol. 26, No. 52, pp. 19-29. Diab, E.I., M.G. Badami, and A.M. El-Geneidy, (2015). "Bus transit service reliability and improvement strategies: Integrating the perspectives of passengers and transit agencies in North America", Transport Reviews, Vol. 35, No. 3, pp. 292-328. Sun, Y., (2017). "Reliability prediction model of further bus service based on random forest", Journal of Algorithms & Computational Technology. Yu, B., Z. Yang, and S. Li, (2012). "Real-time partway deadheading strategy based on transit service reliability assessment", Transportation Research Part A: Policy and Practice, Vol. 46, No. 8, pp. 1265-1279. Bertini, R., and A. El-Geneidy, (2003). "Generating transit performance measures with archived data", Transportation Research Record: Journal of the Transportation Research Board, Vol. 18, No. 41, pp. 109-119. Diab, E.I., and A.M. El-Geneidy, (2013). "Variation in bus transit service: understanding the impacts of various improvement strategies on transit service reliability", Public Transport, Vol. 4, No. 3, pp. 209-231. Holland, S.M., (2008). "Principal components analysis (PCA). Department of Geology", University of Georgia, Athens, GA.
Jolliffe, I.T., (1986). "Principal Component Analysis and Factor Analysis, in Principal component analysis", Springer. p. 115-128. Abdi, H., and L.J. Williams, (2010). "Principal component analysis", Wiley interdisciplinary reviews: computational statistics, Vol. 2, No. 4, pp. 433-459.